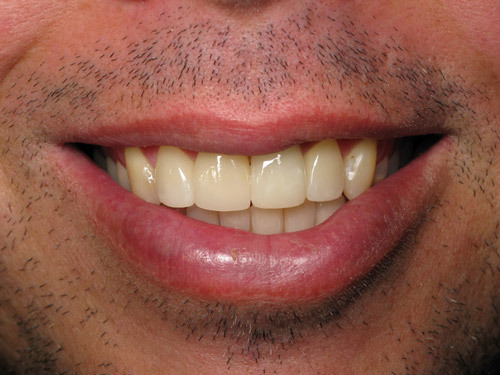 Veneers are one of our most popular cosmetic procedures because they provide dramatic results, allowing you to instantly improve the shape and color of your teeth. 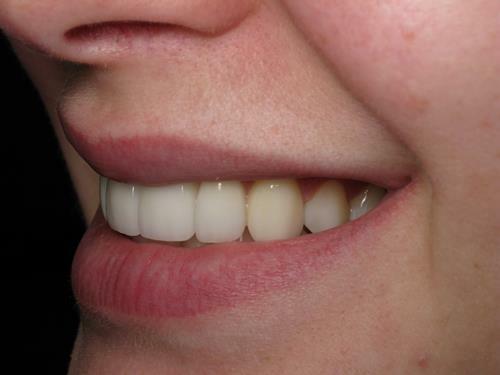 Veneers are thin porcelain facades bonded to the front of your teeth. 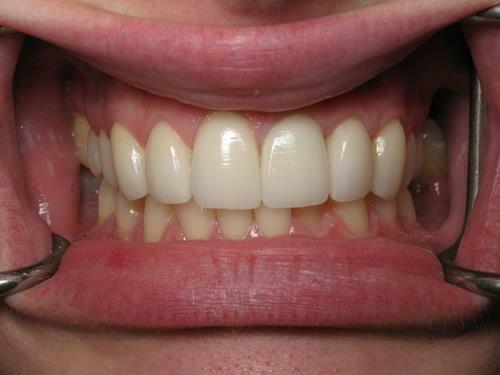 They are a more conservative solution than crowns because very little tooth structure is removed to prepare for them. 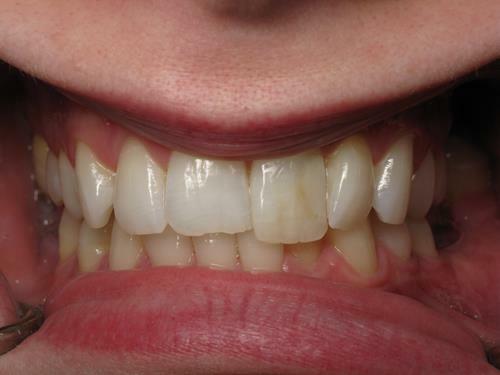 Once bonded into place veneers reinforce the strength of your teeth while giving you a luminous natural-looking smile. 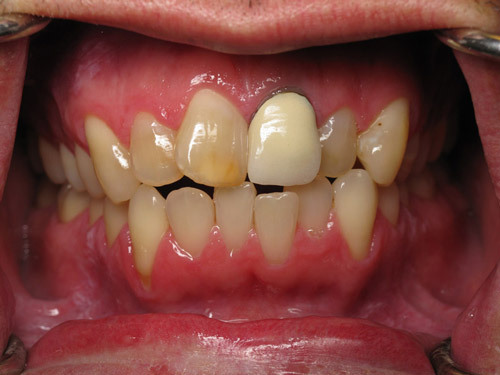 Photos and information from a variety of cases may be viewed under our ‘before & after’ tab above, or by clicking below. 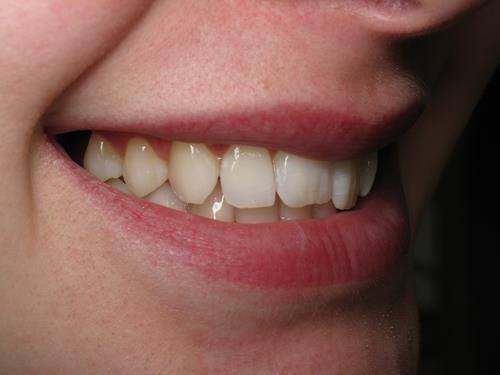 You can have A NEW SMILE in as little as two weeks. 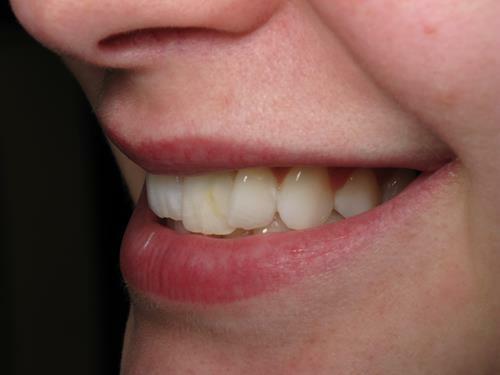 Your teeth will be stronger, healthier and more beautiful than ever before! 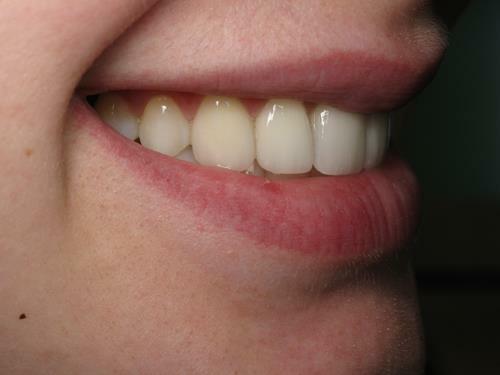 Sara had a discolored front crown, plus a desire for that perfect smile. 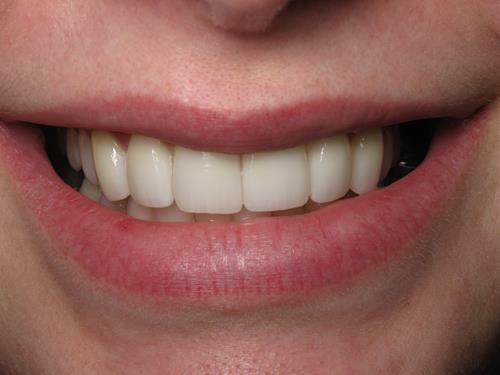 Dr. Matt was able to use a combination of veneers and crowns to achieve this beautiful look for her. As you can see by her smile, she was thrilled with the result. 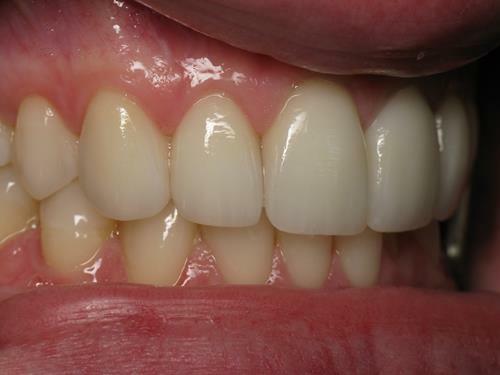 With new technology like the CEREC 3D digital Cad-Cam system Dr Matt can design and fabricate most crowns, onlays, inlays, and even some bridges in just one appointment. No more messy impression materials, fragile temporaries or repeat visits. First, Dr Matt takes a series of digital photographs which he downloads into the system as the basis for your new restoration. 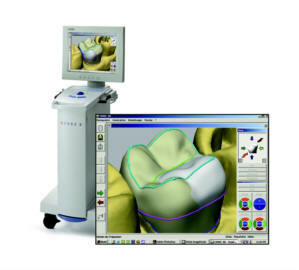 Then, he designs your restoration with the computer program and fabricates it with the CEREC milling machine. He finishes with stain and glaze, producing beautiful natural-looking results by hand-painting custom shades, curves and shadows. 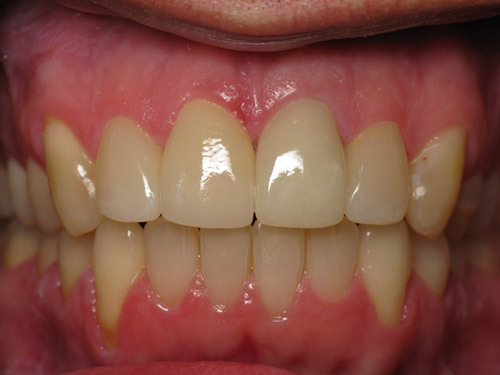 Once bonded into place CEREC restorations are proven to be 30% stronger than most similar materials used in dental labs. Designed & fabricated in just one appointment! Designed and fabricated in just one appt! 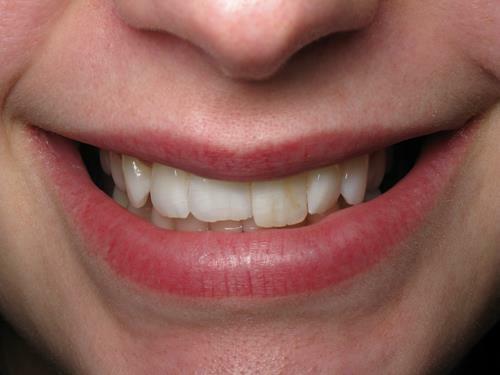 Invisalign was used to help with alignment. Cerac ceramic restorations were made here in the office.